It’s Wednesday again! 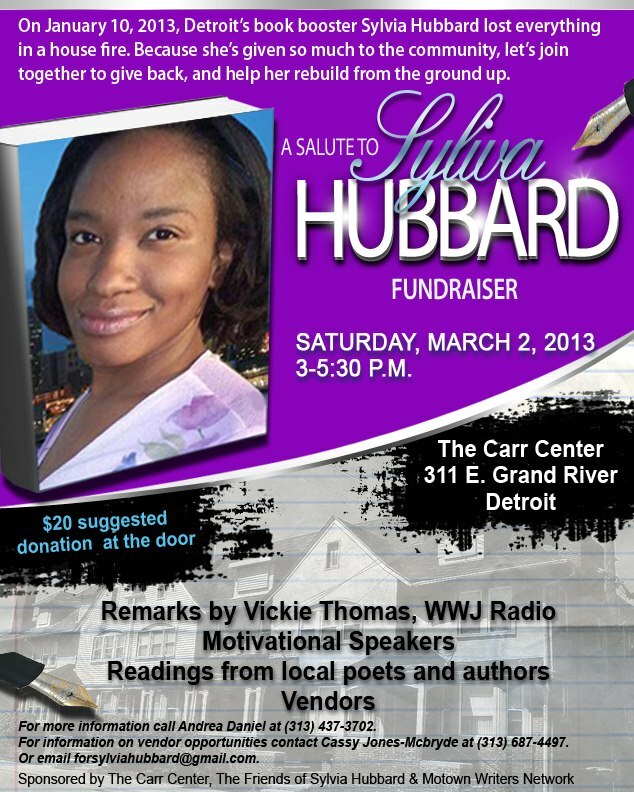 Don’t forget to listen in today at 5:30pm on the Michigan Literary Network blog talk radio show. Sylvia Hubbard will interview Keith Owens author of “The Mayonnaise Murders,” Check Keith out at www.keithowens.com and on twitter @kaoblues. 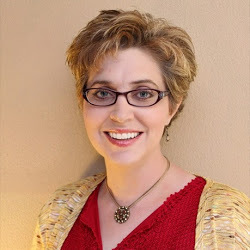 My nearly 30-year background as a writer includes time spent as a columnist/reporter and/or editor for Detroit’s Metro Times, the Michigan Chronicle, the Detroit Free Press, the Fort Lauderdale Sun Sentinel, and other newspapers including the Denver Post and the Los Angeles Times. I was also a nationally syndicated columnist with Universal Press Syndicate for three years beginning in 1993. My two-part, 11,000 word article for Detroit’s Metro Times on the history of the blues in Detroit entitled “Boogie Chillun” earned recognition from the Alternative Newsweekly Awards and also from the Detroit Chapter of the Society for Professional Journalists. I am currently a regular contributor to the progressive political blogs PoliticusUSA and Jack and Jill Politics. But fiction was my first love long before I became involved in journalism. One of my mother’s most cherished pictures is the one of me at age two or three, standing up on tippy toe in my underwear trying to reach the keys of an old black typewriter perched on the edge of a table. One hand was outstretched upward, as I looked back over my shoulder at the camera, apparently just becoming aware that my picture was being taken. I have no idea what my fascination was all about at the time, Naturally I’d like to think I had the Great American Novel pent up inside me and I just had to get that story told. Because even at that young age I obviously knew my destiny, and the typewriter was my chariot that would transport me from that small orange brick house on Milwaukee Street in Denver, Colorado to riches and fame. Then again, maybe the keys were nice and shiny and I was just reaching upward like any curious kid to try and get my hands on the shiny thing just out of my reach. And my mother, like most mothers, had her camera nearby on the ready for any and all cute baby shots, and she realized this one was a keeper. Then she quickly snatched me away before I pulled the bright shiny typewriter down on top of my little baby head. Like I said, I have no idea what my fascination was all about at the time. But that picture has stayed with me throughout the years as my true fascination with words and stories has evolved into a passion that has all but consumed me. Writing is not what I do, it’s who I am. Whether I’m writing op-ed columns, political blogs, children’s stories, or science fiction murder mysteries ( all of which I have done, by the way), it doesn’t matter so long as it gives me a chance to feed the beast. Doesn’t matter if it’s a brief few grafs, or a lengthier passage requiring research and other deep and time-consuming stuff. So long as words are involved, and I can tell a story, then the beast will let me rest another day. Listen in today at 5:30pm as Sylvia Hubbard interviews our first guest Ken Coleman, a Detroit native and a seasoned communications, media and public policy consultant. 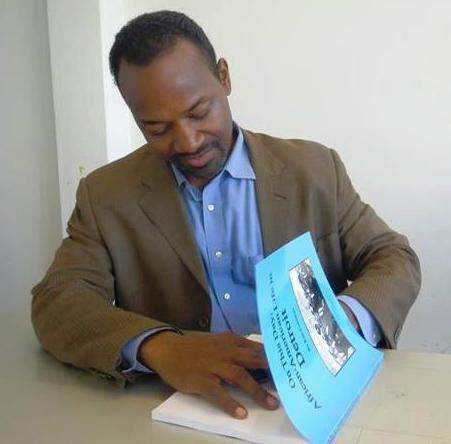 He is also the author of the new book On This Day: African-American Life in Detroit. Ken Coleman’s past employment experiences include serving as a legislative assistant to former Detroit City Councilwoman Brenda M. Scott as well as State Senators Irma Clark-Coleman and Buzz Thomas. He has also worked as press secretary to U.S. House member Gary C. Peters and as a reporter at the Michigan Chronicle and Michigan FrontPage. In 2009, Ken was elected by local voters to serve on the Detroit Charter Revision Commission, where he helped to lead the way in drafting a new governing document for City of Detroit. With passion and dedication, Ken serves as a volunteer mentor and an advisory board member with Big Brothers Big Sisters of Metropolitan Detroit. He chairs a special task force that is dedicated to increasing the number of black men who mentor African-American boys. 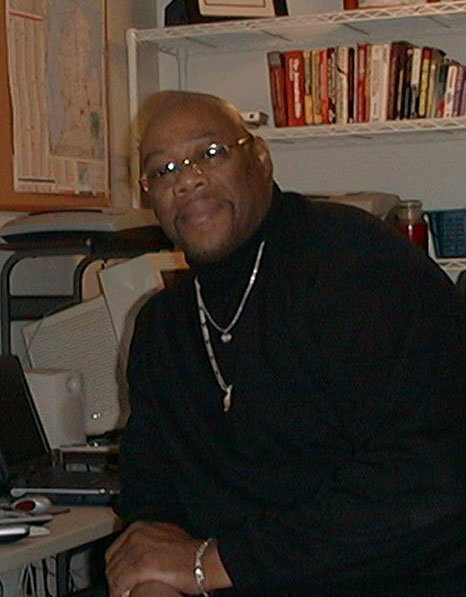 Ken is completing a bachelor’s degree in communications from Wayne State University. He is married to Kim Trent. They have a four-year old son, Jackson. Erica Monique Coleman was born and raised in Detroit, Michigan. 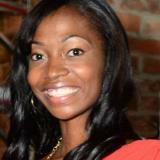 Coleman graduated from Wayne State University with a Bachelors degree in Journalism. Coleman’s creative talents as a writer, model, actor and spokesperson have enabled her to communicate and befriend large groups of men and women “who all have a story to tell.” Writing has been her passion for many years, but her focus has mainly been on women’s’ life issues, as featured on her Blog, “Girl Let Me Tell You.” She currently resides in Detroit, MI with her son whom she hopes will follow in her creative footsteps. Dying To Be Loved is her first novel with hopes of many more to follow. 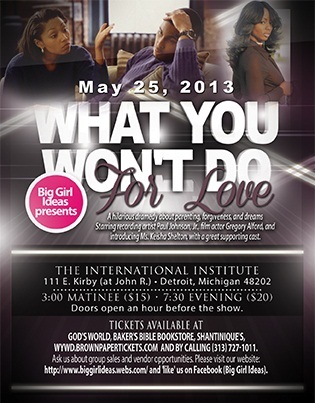 Anyone who can’t attend the fundraiser, can still donate through PaylPal. 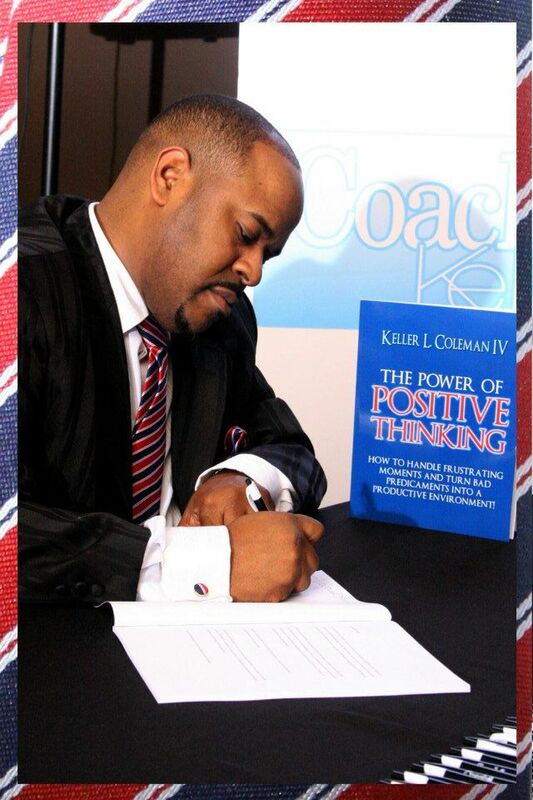 Don’t miss the Michigan Literary Network’s interview with “Coach” Keller Coleman the author of The Power of Positive Thinking as he talks with Sylvia Hubbard at 5:45pm.